The insulin-like growth factor IGF-1 is a growth-promoting peptide that is structurally related to insulin. The majority of IGF peptides are not found in a free form, but rather in complex with IGF-binding proteins (IGFBP) protecting the growth factor from proteolysis. IGF-1 exhibits a variety of cellular functions, especially by activating IGF-receptor including regulation of hormone synthesis and secretion, chemoattractant migration, immune cell recognition, and neuromodulation. 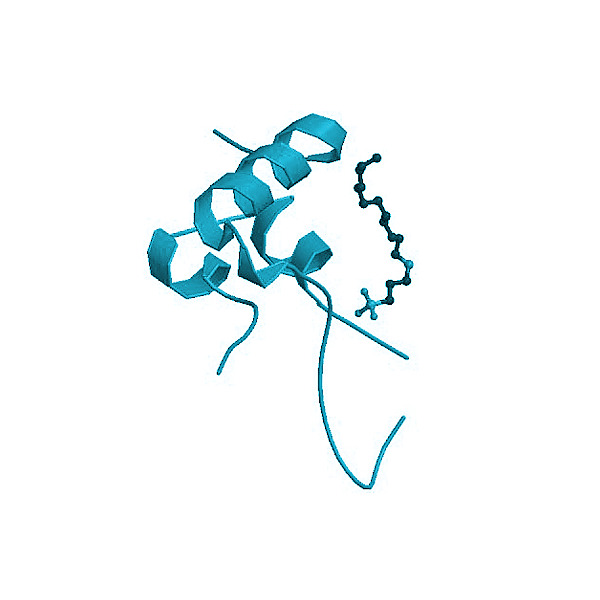 Protein informations: Insulin-Like Growth Factor-I, human recombinant produced in E.Coli, is a single, non-glycosylated, polypeptide chain containing 70 amino acids and having a molecular mass of 7655 Dalton. IGF-I is purified by proprietary chromatographic techniques. Biological activity:The ED50, calculated by the dose-dependent proliferation of murine BALBC 3T3 cells (measured by 3H-thymidine uptake) is < 1.0 ng/ml, corresponding to a specific activity of 1.000.000 U/mg. For most in-vitro applications, IGF-I exerts its biological activity in the concentration range of 0.2-20 ng/ml. LeRoith D, Roberts CT Jr. (1993) "Insulin-like growth factors." Ann N Y Acad Sci. 27;692:1-9. LeRoith D, Roberts CT Jr. (2003) "The insulin-like growth factor system and cancer." Cancer Lett,195(2):127-37. Werner H, Weinstein D, Bentov I. (2008) " Similarities and differences between insulin and IGF-I: structures, receptors, and signalling pathways." Arch Physiol Biochem. 114(1):17-22.